I (Doug) spent a couple of hours last Thursday (20-May-10) with Loren Koeman at his office and consulting business of the same name: The Koeman Group. Now to be transparent I wasn't exactly sure what I was going to get out of our meet. I'm a city boy - born and bred. Detroit, Denver, Phoenix, Houston so knowing anything about how a farm works is what I learned from Sesame Street and investigative reports on how American Farmers are starving. What I knew is that I really don't know much. Loren contacted me to give me a glimpse as to how big technology is being adapted to the farm. Loren grew up on his family farm in West Michigan so he has real insight into farming needs. But Loren isn't some farm-boy from the sticks that picked up a computer one day and started hacking away. Loren is highly educated and knows, from a multifaceted point of view, how this whole puzzle can be better optimized. Now down to the technology. The primary gist is that farming at the farm is quickly becoming a high tech business. High tech automation is nothing new to farm equipment. What is new is sophisticated data gathering and algorithms used to maximize crop yield and lower farmer cost. The Koeman Group is able to drill down into data so efficiently they're able to give the farmer the ability to manage their field down to a one meter resolution! The field machinery is equipped with GPS and augmented GPS, seed and fertilizer computer management systems and some even have the ability to stream live telemetry data. This equipment is crucial to the optimization and data gathering process. Once the raw data is reaped (sorry bad farming joke) Loren is able to develop a management plan for that field. I know what I've described in just a few paragraphs is not earth shattering (sorry I did it again) technology. But what is unique is the application of sophisticated technology for data processing for the family farmer. Loren's clients are not mega-corporation farms. They are mostly family owned with 3,000 to 30,000 acres. Loren uses a multitude of data sources from USDA databases to actual recorded data from the equipment in the field. Using broadband internet, where available, farmers upload raw data to Koeman Group servers. From here information is layered into trending data, compared to pervious data groups and/or used to analyze goal performance. Loren remarked a few times on how "What we're doing for our clients is as significant as the barcode and scanner was for retailing". The Koeman Group plans to be on the forefront of the technification (my word for family farmers). If what is going on now is equivalent to the barcode; Loren is looking to move his industry to what Google did for search or iPhone did for smartphones. This is where creating a technological hub city has a benefit. Loren eluded to me that as his business and the data gathering at the farm grows his reliance on newer technology will grow exponentially. This puts the Koeman Group into the power user category much like the Ada based currency trading firm Global Forex. Technology is the backbone of how their business is operated not what it produces. Developing technology out or necessity not for commoditization. This is where the growing need is. Loren is always looking for ways to improve how they manage and manipulate data. This means software development. Currently most of what The Koeman Group does is from vendor provided software with some custom developed modules. As the technology develops The Koeman Group's ability to offer increasingly relevant data will expand. There is a recognized desire to push this type of farming data ecosystem onto a cloud platform. That is where I see Grand Rapids based IT developers, still looking for a niche, to carve one out. If what is currently available is likened to barcoding and scanner technology - that tells me there is a huge upside of development to be had. I realize the value in meeting with power users like Loren. It gave me a point of view that I had not spend much time thinking about - the raising group of tech power users. Building Grand Rapids into a technological hub city, I feel more that ever, is an imperative step that hat we as a community have to take. I want to thank Loren for taking the time to encourage me in my efforts with the Grand Rapids Technology Partnership. With the education he gave me in how high technology is needed in other aspects of our lives, like farming, I'm convinced we only see the ice above the water. 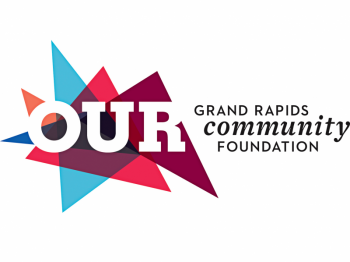 About Doug Lang: Doug is the Founder of the Grand Rapids Technology Partnership (GRTP). He is 34, married for almost 11 years to Molly and has a newborn daughter Arawynn. Doug has lived in the area for 9 of the last 12 years – the last 2 in Grand Rapids’ Garfield Park Neighborhood.